Are you ready to experience Tampa Bay's Mobbly Bayou Wilderness Preserve after dark and from 70 feet off the ground? In these Moonlight Canopy Tours, you'll glide into the unknown on a zip line and experience the nocturnal life of Tampa Bay. 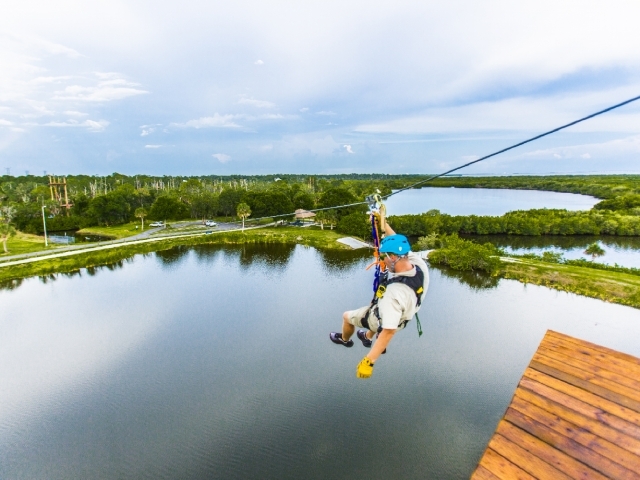 For two hours, you'll traverse all 5 zip lines in the preserve as well as walk the 200 foot suspension bridge, otherwise known as the "Flight of the Osprey" bridge. To reserve this one of a kind experience, call (813) 448-5635.